Tech Teacher Tidbits: SDE Conference: New England Power Up! SDE Conference: New England Power Up! First, I'll start small. Sum Stacker is the name of a math app that I really, really liked. It does cost $2.99 but I think it's well worth it. It encourages mastery of basic facts in a variety of visual formats and modes, but more importantly, it requires strategizing and thinking on your feet. The kids have responded very well Sum Stacker, which brings me to my next technology goal. I have finally figured out how to project my iPad on the big screen. 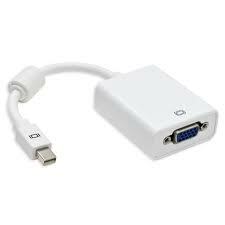 It only takes a VGA adapter which is about $35. I used it for the first time when I was teaching the kids how to play Sum Stacker. Oh my God! It was SO much better than just holding up my iPad for all to see. Click the image below to connect to Amazon. My third goal is to start a class blog. One of the workshops that I attended was hosted by a wonderful teacher from New Hampshire. Her name is Laureen Reynolds and her use of technology in the classroom is beyond compare! Check out her work at The Bulletin Board. So I looked at KidBlog and Edublog for a hosting site. Both offer a safe, kid friendly environment but I felt as though Edublog offered more choices and controls. I created a class blog called Pencils, Projects, and Pigs. I'm still customizing it and drafting a letter to the parents. I strongly feel that students should have parental permission and supervision before they enter the blogging world. But I am super excited about the kids having an authentic audience for their writing. I have so many ideas that I will be happy to share when they come to fruition. It was so great to meet you at the conference! I am so excited to see that you have started implementing some of the great ideas we learned! I have not had a chance to do so yet... caught the flu shortly after the conference! Excited to follow your successes! I can't wait to try and use blogs with my firsties!